A lot of elements come into play when it comes to a truly special dining experience. Mouthwatering food, certainly. Perfectly paired drinks, almost definitely. And a breathtaking setting, with warm and polished service, is the icing on the cake. For an event that has all of this in spades, look to London in the Sky, a two-week pop-up in July that takes dining in the capital to new heights. In a city where we're constantly being spoiled by our unfettered access to new and exciting ingredients, the world's best chefs, and the most out-there experiences, this unique occasion provides a whole new perspective on eating out in London. And how does it do that? 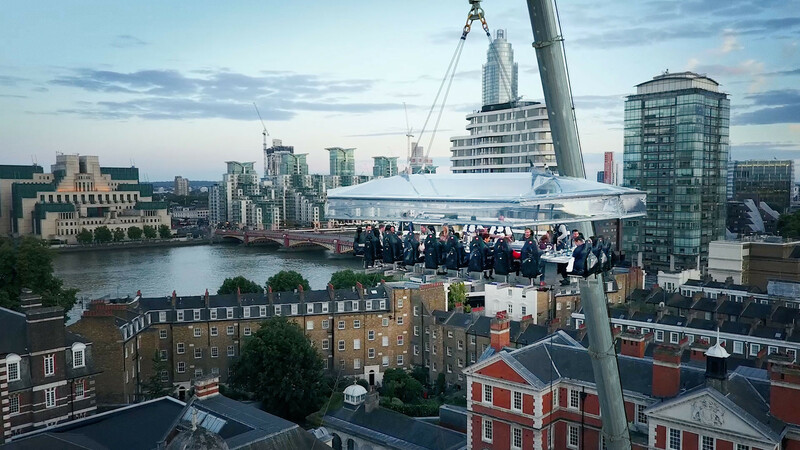 By serving delicious food developed by some of the capital's most exciting chefs as you sit at a specially made Sky Table, suspended 100ft in the air. 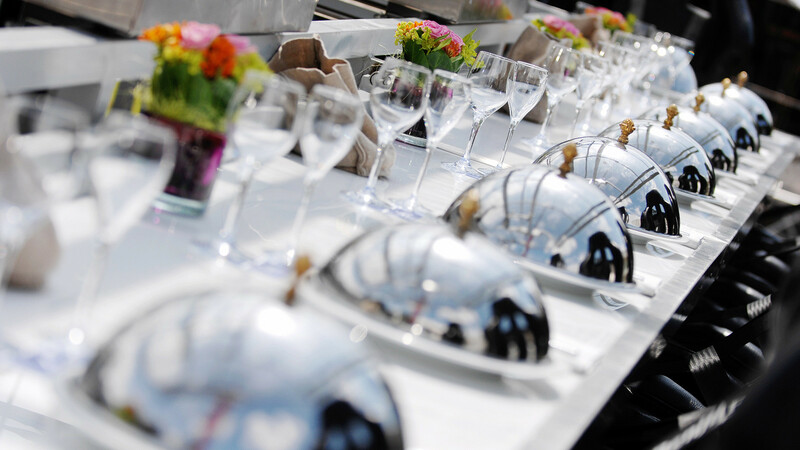 This year, three tables will be lifted at a time – each with a menu designed by a different well-known chef – giving even more diners access to spectacular views over the city skyline, taking in famous landmarks like St Paul's Cathedral, the OXO Tower, the Shard and the Millennium Bridge. It's the ultimate alfresco dining and drinking experience – and one of the best and most memorable ways you can enjoy summer in London. Then, of course, there's the food itself. Each table will host breakfast, lunch and dinner, as well as afternoon tea and after-dinner cocktails and canapés. With bespoke menus created by Pascal Aussignac of the Michelin-starred Club Gascon, The Dairy's Robin Gill, and Lee Westcott of the Typing Room in Bethnal Green, the meals are bound to be some of the best you'll eat – and they're all finished by hand in front of you as you sit at the Sky Table. Is your appetite suitable whet? Good. Meet three of the chefs who are about to deliver a meal you'll never forget. Let's face it: when it comes to special-occasion dining, classic French cooking is hard to beat – especially when it's delivered via Pascal Aussignac of the Michelin-starred Club Gascon. Aussignac comes from Toulouse in southwest France, where eating focuses around the likes of foie gras, duck, good wine and armagnac, an influence that's clear in his cooking today. He made the move to London in 1998 and was awarded his first Michelin star in 2002. He's still widely regarded as one of the capital's premier French chefs, and was awarded Restaurant Chef of the Year at the Craft Guild of Chefs Awards in 2013. Dish to save space for: Gascony Pie – chicken ballotine, aromatic lobster and a bisque sauce. Yes. Please. Lee Westcott's CV is seasoned with time in some of the world's best kitchens, from Thomas Keller's Per Se in New York to René Redzepi's Noma in Copenhagen and Restaurant Gordon Ramsay here in London. He went on to oversee two of wunderchef Jason Atherton's restaurants in Hong Kong before returning to open Typing Room at the Town Hall Hotel in East London, where he cooks his own seasonal, modern food. He specialises in using mainly British produce, presenting it in a pure, honest fashion. Dish to save space for: Raw beef, turnip, mushroom and black garlic. 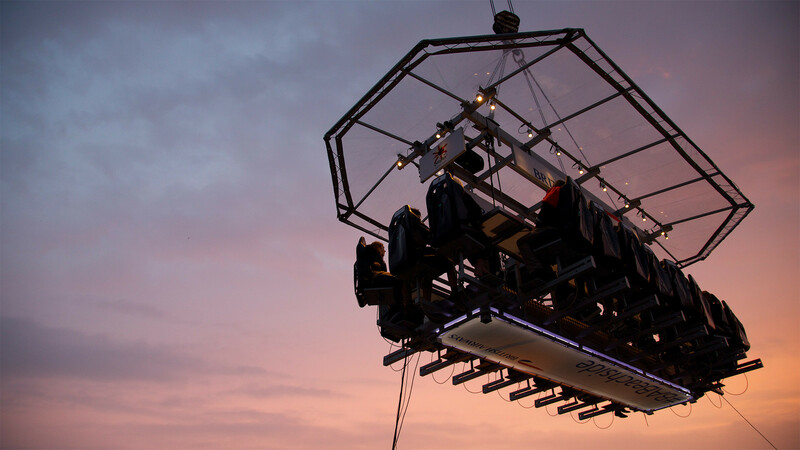 Located near the South Bank, the three Sky Tables will run several flights throughout the day, serving everything from breakfast all the way through to cocktails and canapés as the sun sets over London's iconic skyline. Each table will be suspended 100ft in the air from a crane, and you'll be safely strapped in by London in the Sky's technicians. The tables have roofs that protect you from the elements, so there's no need to worry about the weather spoiling your experience. If you're a fan of a tasting menu, chances are you'll have heard of The Dairy in Clapham, where Robin Gill has been creating a modern, produce-led take on the multi-course meal since 2013. He's since become known for unpretentious, accessible cooking that's still refined and undeniably delicious. Gill went on to open two more Clapham-based restaurants, Counter Culture and the new, pasta-focused Sorella, which capitalises on his time spent in some of the best kitchens in Italy. Despite being based in London, The Dairy has a farm-to-table feel, preparing just about everything in-house – churning butter, curing meats, smoking fish and growing herbs, vegetables and other produce in its rooftop garden. Yum. Dish to save space for: 'Our farm' courgette with sheep's curd, basil and sunflower.